Boerne Landscaping Pros is a family-owned business that services the Boerne, Fair Oaks Ranch, The Dominion, Helotes and the surrounding areas for all of your lawn and landscape services. With over 5 years of experience working with different kinds of yards and lawns, we have perfected our ability to deliver high-quality, efficient service to homes and businesses. Our team of experienced lawncare and landscaping professionals works every day to not only serve our customers, but to improve our skills through education, research, and trainings. Every member of our team is fully insured. We can build you a better yard from the bottom up – starting with your lawncare and maintenance working toward landscaping features, outdoor lighting, and keeping your lawn looking its best. Go ahead – make your neighbors jealous. With Boerne Landscaping Pros, it won’t even be a competition. Lawns are personal, as is lawn care. You don’t want just anyone having access to your yard. We are highly professional and enjoy working with families of all sizes and types to get your lawns perfect – no matter what time of the year it is. For high quality landscaping with years of experience, contact our professionals today. Our skilled professionals personalize a landscaping project for your yard, taking in the beautiful and natural features of your yard and turning them into something truly spectacular. Our landscape design team will then hand the project over to a qualified installation team to make the magic happen. They will work to build the landscaping design, making your dreams become a reality. Our team has years of experience as Boerne landscapers, so we know what people want to see – and even more importantly, what will last with a proper maintenance plan. Of course, we will talk to you about the amount of maintenance that you want to do before we design. Give us a call today for Boerne landscape design or landscaping maintenance. Need a quick pick me up for your yard? Sod installation is one of the best ways to really spruce up your yard quickly. Sod comes from a farm and goes into your yard smoothly, immediately making a blanket of lush, green grass. Of course, it does take some time to set, so you want to give yourself some time before a big event where you will have people standing around. Having professionals install your sod improves the chances of success and that your lawn will stay strong and beautiful for years to come. 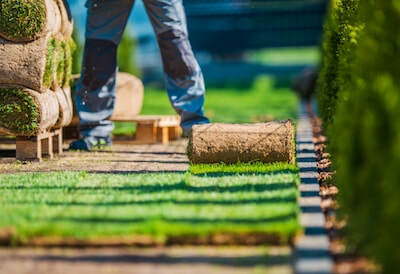 Our team will go above and beyond to not only ensure that the sod installation is completed properly, but that our team continues to help you during the settling process so that it stays this way. 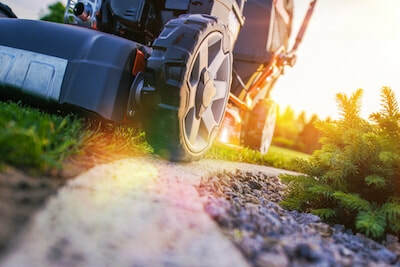 Residential lawn maintenance and lawn mowing services in Boerne have a special job – we have to ensure that your lawn is uniform, beautiful, and safe. With so many young families and people who enjoy spending time outdoors, the health and safety of your lawn is important. Tall grass can mask many things, and should be kept at a beautiful, manageable length. We also believe that yards don’t always have to be just to look at - they are for living. Whether you want to play baseball with your kids, teach someone how to do a cartwheel, or just use it as a base for a picnic, your lawn should be one of the major parts of your life. Treat it as such. For residential lawn maintenance, mowing, and more, contact Boerne Landscaping Pros today. What does someone see when they come to your business? Do they see a beautifully manicured lawn with fantastic landscaping? Or do they see weeds, bald spots, and someone who really doesn’t care that much about their business. It might seem harsh, but that is what people see when they go up to some businesses in Boerne. 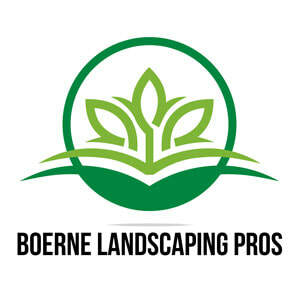 Boerne Landscaping Pros prides ourselves on having a sense of responsibility for other businesses in Boerne, working to make their grounds as beautiful as possible. We focus on wellness and keeping your lawn and landscaping beautiful in every season as well as ensuring that they are safe for the general public. 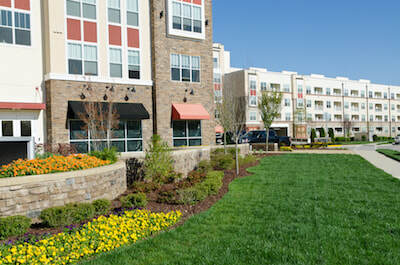 If you are interested in learning more about our commercial grounds maintenance program, give us a call today. Want to add security and beauty to your yard? Keeping your house and yard lit up at night is one of the best ways to do this. Landscape lighting can be personalized to highlight areas of your home and landscaping that you want, and keep other parts in the dark. 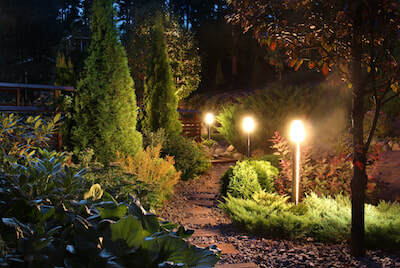 However, safety is one of the main reasons people choose landscape lighting. It can help you to see your yard at night, keeping critters and people out of your space. If you come home later, it will help you to see so that you can safely get inside. It isn’t only other people you have to worry about – we’ve all tripped over a toy or the edge of the sidewalk before, don’t deny it. Our team has years of experience installing outdoor lighting systems in Boerne. Once installed, our dedicated maintenance team can update or service any outdoor lighting as the years go by. Need better soil for gardening? Interested in fertilizing your plants? Your soil needs to have the right balance of nutrients, acids, and natural debris to work properly. We are passionate about having soil that sustains life in your yard, which is why we provide this service to Boerne. It really does make all of the difference! Everything in your yard comes out of the soil, from the trees to the grass to the weeds, so you need to ensure that your soil is as healthy as it can. Contact us today to find out more about our soil services. Lawn looking a little dingy? Aeration and compost takes your yard and makes it beautiful again, using all of the natural elements it already had. We do create divots in your yard, allowing the soil and roots to breathe and get the nutrition and water that they need. Then, we compost that organic material and put it back. This helps your yard to look better immediately, and sets up a plan so that it naturally grows stronger and better. 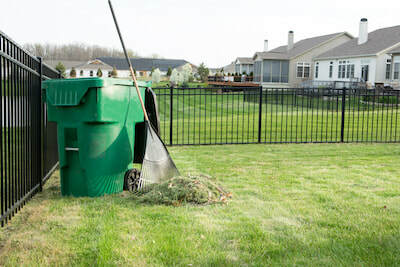 For see if aeration and/or composting is a possibility for your yard, contact us today. Gravel, mulch, and/or river rocks can be used in any number of landscaping and hardscaping projects in your yard. It is a great resource for yards where soil tends to wash away or where you just want a little more color. Even better, it helps to keep water concentrated in the soil, providing for your plants. Interested in Boerne, TX landscaping services? Give our team a call today. We can advise you on any projects and work with you to get the lawn and yard of your dreams.